Once you have registered your company, its time to introduce our program to your employees and let the fun begin! 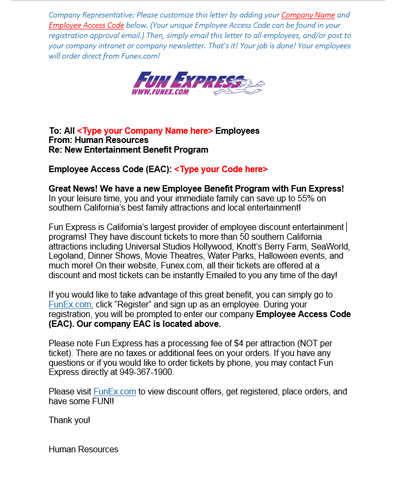 1) Within 48 hours of registration you will receive your company Employee Access Code (EAC), along with suggested instructions for you to Kick Off your new benefit program. Include this code in your Kick Off Email to allow your employees a quick employee registration. 2) Next, download both our KICK OFF EMAIL (you can edit and customize) and our EMPLOYEE ORDER FORM (current listing of all our tickets and prices). Be sure to include your EAC in your Kick Off Email. Then email, or copy and distribute, both the Kick Off Email and Employee Order Form to your employees. 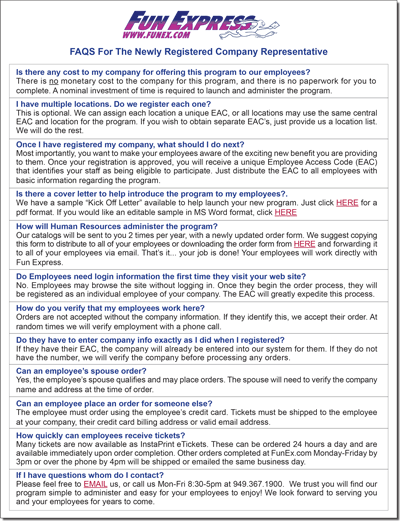 3) To keep your program current, download an updated EMPLOYEE ORDER FORM at any time. 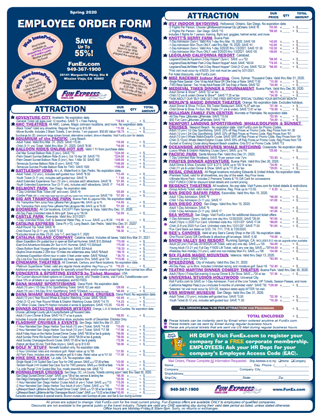 These are provided in PDF format, easy for emailing to employees or posting on your company intranet. 4) Our COMPANY REPRESENTATIVES FAQs may assist you with many commonly asked questions.